Arthur Sherman and his family noticed this every time they took their first, primitive Covered Wagon out on the road in 1929. Even when they were all inside their trailer, eating dinner or bedding down for a cozy night’s sleep, strangers would come up and peer in the windows, or knock shyly on the door and ask to see inside. Sherman labels these folk “trailer tappers.” It was the trailer tappers — a constant stream of them, everywhere they went — that made Sherman decide to try marketing his little camper. 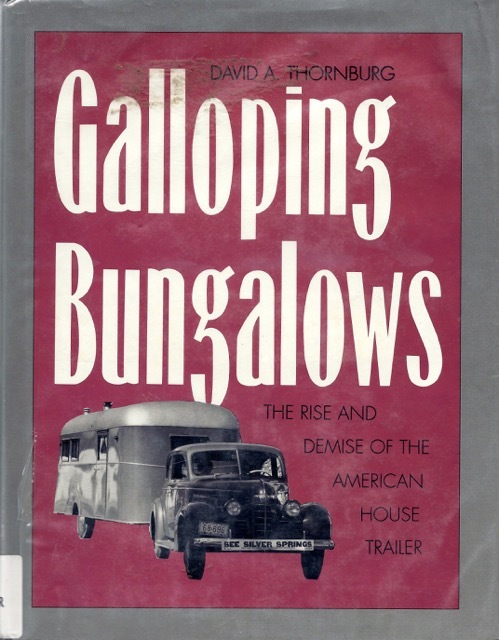 And that about sums up the vintage trailerite crowd and spectators of today in 2018 . . .
*Thornburg, David A., Galluping Bungalows, The Shoe String Press, U.S.A., 1991, page 81.